A surgical technician is a valuable part of the surgery team. Although the average workday can differ between technicians depending on where they work and their area of specialty, daily tasks can be generalized. On average, a surgical technician can attend over a dozen surgeries spending most of the day on their feet. This job is extremely physically demanding, requiring long work hours and sometimes irregular shifts. A typical work day for surgical techs will begin with a thorough review of the cases and surgeries assigned for that day. Once they are updated with their schedule for the day, they will go to the operating room earlier than other members of the surgical team. Here, dressed in scrubs and sanitized, they will attend a pre-op briefing. The nurse who was in charge on the previous shift will update the staff on what went on at the facility on the previous shift and assigns techs to specific surgeries. Once the surgeries have been assigned by the nurse, a tech will gather all pertinent information necessary for the surgery. This information includes; which surgeon, the kind of operation, type of anesthesia, patient specifics and more. The tech will then determine what preparations, if any, have been made and what is left to do. The duties will be divided among team members and can include; stocking the operating room with supplies, sterilizing all tools and equipment and ensuring everything is in order. While the team is preparing to begin, the tech will be dealing with the patient. They will place them on the operating table, sanitize the incision site, and cover the patient with the appropriate sterile drapes. Typically, a technician will be passing sterile surgical tools and supplies to the surgeon or the surgeon’s assistant (a nurse who works with him). If samples are taken during the surgery, it is the technician’s responsibility to ensure that the samples are prepared properly and that they reach the lab. After the surgery has been completed successfully, the technician can apply dressings to the incision sites while simultaneously preparing the patient to be transported and moved to a recovery room. At this point, it is necessary to take an account of remaining tools and supplies, comparing them with the initial count. This is very crucial as it ensures nothing was accidentally left inside the patient. 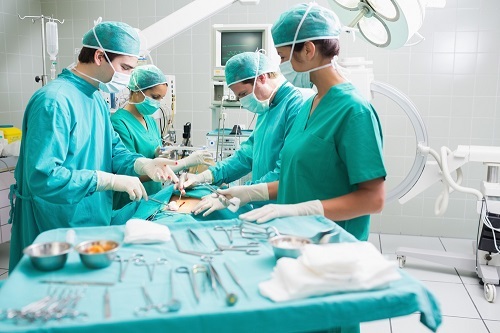 All used supplies must be safely disposed of and the operating room must be cleaned and disinfected, restocked and prepared for the next procedure. 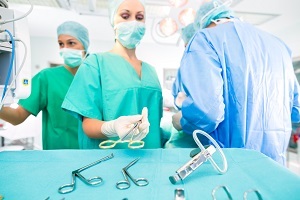 There are a few very serious risks involved in choosing a career as a surgical tech. Techs work with a high number and wide variety of people and patients on a daily basis. Exposure to diseases and pathogens is a very real possibility. This can range from common colds and viruses to more serious hazards like hepatitis. For technicians with a sensitive nose or allergies, the strong odor given off by cleaners and disinfectants may cause issues. As a result of inhaling these chemicals, sensitive techs may find they experience nausea, dizziness and more. Another very real workplace hazard is exhaustion and fatigue. Some techs can expect to work more than the usual 40 hours per week. Emergencies, night procedures and weekend operations are to be expected. Flexibility is important in this position, as is the ability to work through fatigue with attention to detail and focus. Being a part of the operation team means that someone else’s life is in your hands, a tech needs to stay sharp no matter how tired they are. Lastly, as previously mentioned, this is a physically demanding position. A tech can expect to be on their feet for at least 3/4 of their shift. Care must be taken to pay attention to proper posture, lifting procedures, proper personal protective gear and proper footwear and scrubs. All of these safety measures are to protect the technician from injuring themselves while on duty. Providing personal assistance: It is understood that a technician is expected to assist the surgical team. There is also the task of providing personal assistant (physical or emotional), emergency medical attention and other personal attention given to not only patients, but their family and even coworkers. Data Entry and Collection: Collecting and sometimes analyzing all pertinent information from all sources in relation to their task at hand. Performing Generalized Physical Activity: This career choice requires a significant use of one’s whole body. Climbing, lifting, walking, crouching, stooping, balancing and handling materials are all expected daily. Constant Learning: A technician is responsible for ensuring they are kept up-to-date on the latest technical skills and regulations in regards to their position. This also includes a requirement for accreditation’s and licensing. Communication: Surgical techs need to be effective communicators, dealing with supervisors, co workers, patients and their loved ones. Training and Teaching: As part of a team, a tech may be expected to educate or train others on their team who need assistance or updating. Quality Control: This career path is a highly meticulous one. One mistake can result in fatal complications. Math and Stock Management: A tech will need to estimate many important factors such as quantities, dilutions, time management, costs, materials needed, resource consumption and other measurements. It has been made quite clear that surgical techs play a crucial and major part in the operating room. It goes without saying that they have to be knowledgeable in medical procedures, terminology and equipment, but they also need to have communication and management skills with a high level of flexibility and physical fitness. They can be expected to be called upon on a moment’s notice for a wide range of tasks and responsibilities. Millions of people have surgical intervention each year. This can range from organ transplants to minor surgeries like a laparoscopy. Each and every surgery is important and requires a high level of attention to detail and quality control. 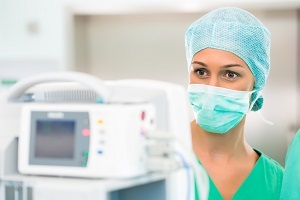 The success or failure of these procedures relies heavily on the entire surgical team. 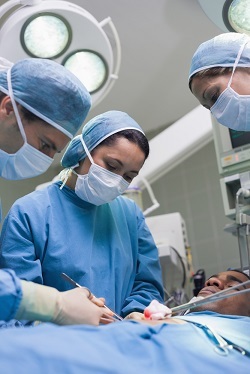 Surgical technicians are a valuable addition to that team.